This is our first blog and I couldn't be more excited! I'd like to keep this short and sweet. I am here to welcome all of you to our website (which is still totally a work in progress) that my beloved husband has been tirelessly working on (with Uncle Joe Joe, thank you!) 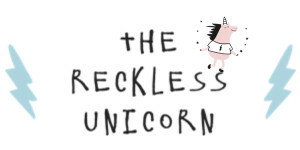 Our main mission at The Reckless Unicorn is to bring a magical and easy experience to you while you shop. Every single product chosen is special and meaningful to us and we hope you feel the same! We will always strive to bring you the best finds for all children, whether they are your own or that of a friend or family member. We invite you ALL! Sometimes you may even shop for yourself..and that is ok too! We love kids at heart! We truly look forward to this journey with you..thank you for your patience while we iron out some kinks...in the meantime, shop shop shop away!